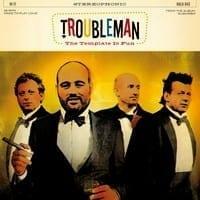 May 2008, Troubleman releases its second album Suburbia on Halu records. A love affair with all things pop, Suburbia documents a boy's growing pains in a humdrum northern English town. With stylistic nods to everyone from The Beatles, XTC, The Style Council and Pulp; Suburbia weaves classic smalltown tales of teenage angst, estranged lovers meeting by the underpass and the solitary practice of a walk in the park with one's dog. 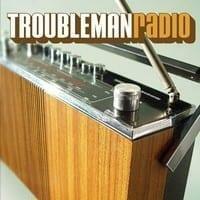 Troubleman has enjoyed many highs over the years. An early demo of their song Hanging it up got picked up by Studio Brussel and indirectly led to them being signed by Sony Publishing. They were featured artists on the Shades soundtrack, the controversial Mickey Rourke vehicle with the acclaimed song Random Acts of Kindness. 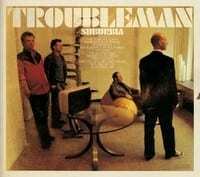 Regularly appearing at prestigious venues and events, such as the AB, the Botanique and the Dour Festival, the band cemented a solid live reputation that has seen them venture as far away as the UK, France, Germany and the Netherlands playing over two hundred and fifty shows over the years. 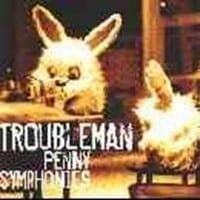 In 2004, Troubleman released its first album Penny Symphonies to glowing reviews and radio exposure of the album's lead song Great Expectations. A labour of love, ... Symphonies was recorded over several years in the deepest of France. Over thirty songs were recorded and mixed. Due to line up changes, the band chose not to tour. December 2006, the new line-up enters the studio to record its follow-up album ... The band now features original band members Manu Tzwern and Yves Peters and is augmented by Luc Van de Poel (of The Kids) and John Guilmain (of Mistigri), Monsieur Pol is in the Producer's seat.